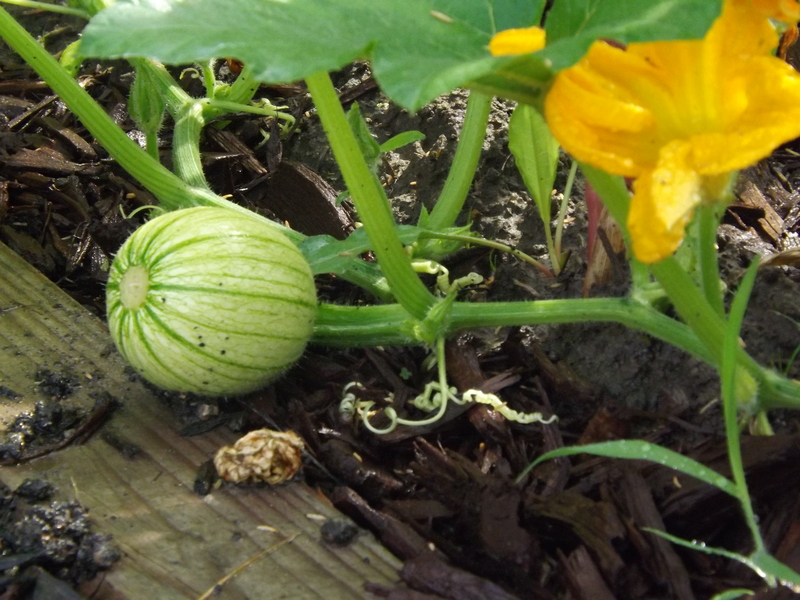 At the risk of jinxing our crop, I have to share some pictures of the tiny pumpkins that seem to be surviving after I gave them a little help. 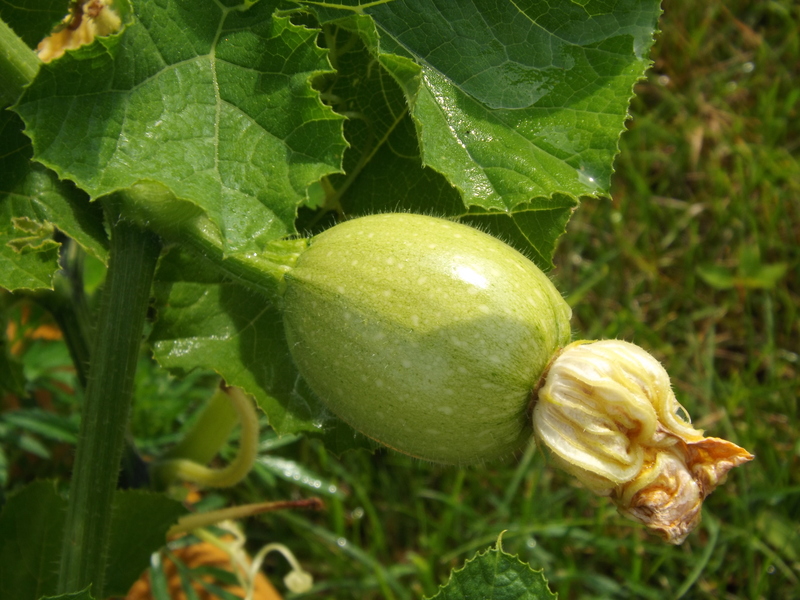 Just five days ago I hand pollinated three female flowers in the pumpkin patch because up until then every baby pumpkin that began to form, turned yellow and died within a few days (Hand Pollinating Pumpkins). 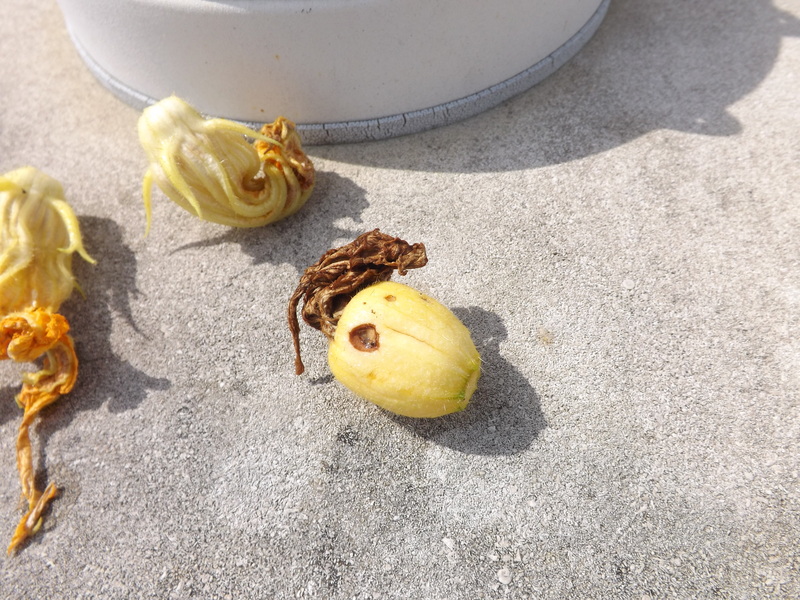 Deciding that pollination might be the issue causing these pumpkins to die, I hand pollinated the three female flowers I found open. This is what they looked like this morning. I have gone out to the patch every morning to see if there are any additional female flowers to pollinate, but so far I’ve only had male flowers. There are several females beginning to form on the vines though, so I will keep my fingers crossed that male flowers will bloom on the days that the female ones do so I can pollinate away. 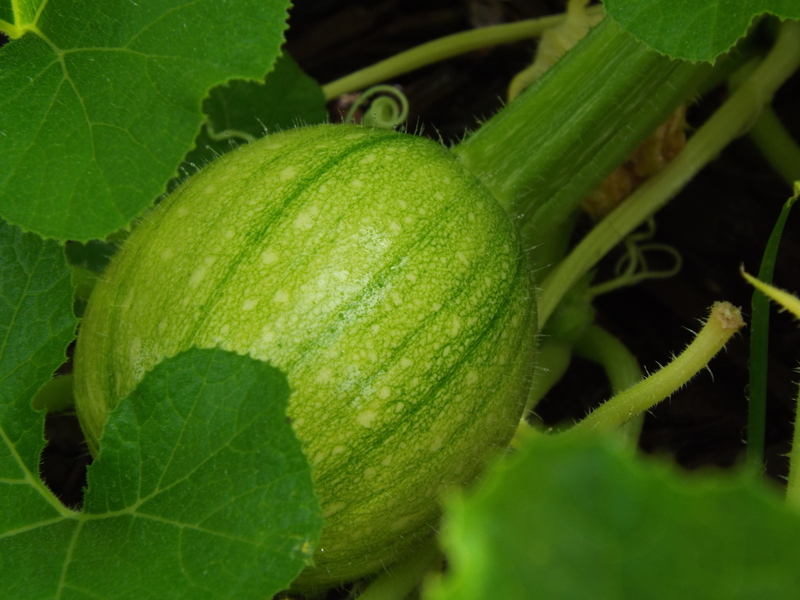 Without getting too far ahead of myself, I can’t wait to pick these pumpkins and make fresh pumpkin pie! I know a lot can still go wrong with these little guys, but for now I am going to enjoy watching them grow and do whatever I can to help them survive. Sometimes even Mother Nature needs a hand and I am glad I was able to help, for this I am — Simply Grateful. Happy to hear my post helped someone. Thanks for stopping by.